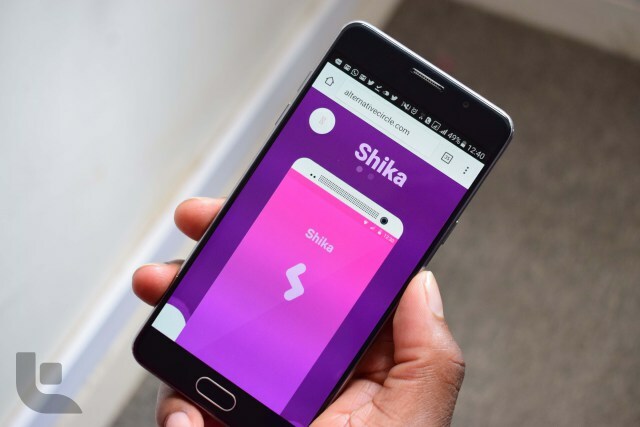 Shika Loan Application belongs to Alternative Circle which is a credit company in Kenya. Credit companies are growing at a very high rate in Kenya but very few are able to meet the borrowers’ needs. Shika is among the very few. This is an app that serves as a platform where borrowers can access quick loans from an Alternative Circle. The app is available to android system mobile phone users in Kenya. You are required to have a Safaricom simcard for you to use the service. Their loan limits ranges between Kshs. 500 to Kshs. 20,000. Once your loan is approved it is disbursed to your MPesa account within 3 minutes. The interest charged is 15% of the amount you have borrowed. The maximum repayment period is a month. There is the option of paying either daily or weekly. Late repayment attract 10% rollover fee on top of what you owe. Delaying to repay for more than 60 days leads to being listed with the CRB as a defaulter. Go to the play store and download the App. Install the App in your phone. Sign up with your safaricom simcard phone number and your National ID card numer. Proceed to log in to your account using your registered phone number and PIN Number. Enter the amount you wish to borrow. It would be wise to never exceed the loan limit provided for you. If you already know the Shika Paybill number you can always go direct to your MPesa directly and proceed to pay your loan. You can also visit them at 4th Floor, Interswitch Offices, Orbit Place, Chiromo Lane, Westlands, Nairobi.